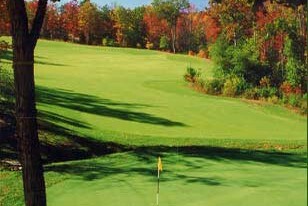 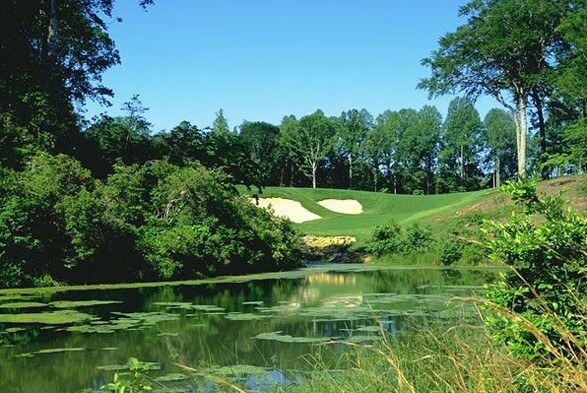 Stonehouse Golf Club was the first Mike Stranz designed course in Williamsburg and awarded best “new Public” course by Golf Digest when it opened in 1995. 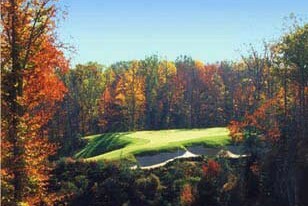 Golf Williamsburg Travelers looking for a unique golf experience will definitely find it at Stonehouse, one of our Tradition Williamsburg Golf Courses. 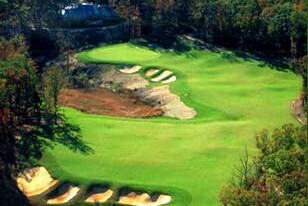 The course features deep chasm bunkers and huge multi tiered greens. 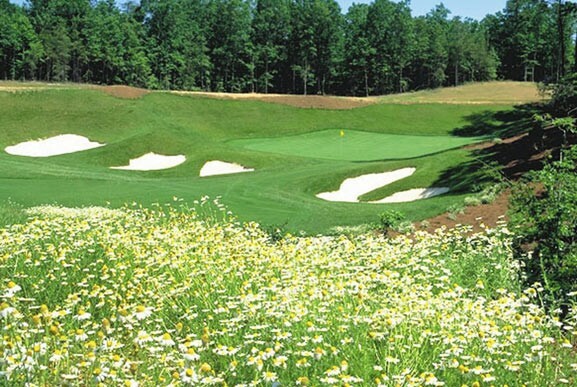 Higher handicappers should play the forward tees for maximum enjoyment. 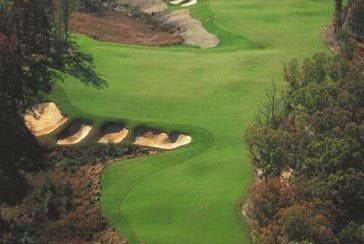 Even the best players will be tested on the back tees due to several elevated tee shots requiring long forced carries to clear ravines, hazards or waste areas. 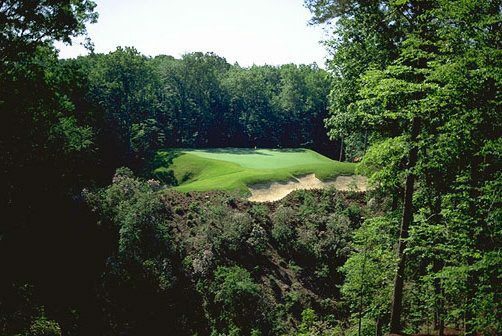 This is definitely a golf course you will not find on most golf vacations and one you will surely tell your golf buddies back home about.